Charlotte has spent her twenties adrift, searching for a spark to jump-start her life and give her a sense of purpose. She’s had as many jobs as she’s had bad relationships, and now she’s feeling especially lost in her less-than-glamorous gig at a pie-and-fry joint in Los Angeles, where the uniforms are bad and the tips are even worse. Then she collides—literally—with Adam, an intriguing, handsome, and mysterious painter. Their serendipitous meeting on the street turns into a whirlwind one-night stand that has Charlotte feeling enchanted by Adam’s spontaneity and joy for life. There’s promise in both his words and actions, but in the harsh light of morning, Adam’s tune changes, leaving Charlotte to wonder if her notorious bad luck with men is really just her own bad judgment. 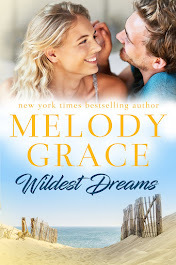 Months later, a new relationship with Seth, a charming baseball player, is turning into something more meaningful, but Charlotte’s still having trouble moving past her one enthralling night with Adam. Why? When she searches for answers, she finds the situation with Adam is far more complicated than she ever imagined. Faced with the decision to write a new story with Seth or finish the one started with Adam, Charlotte embarks on a life-altering journey, one that takes her across the world and back again, bringing a lifetime’s worth of pain, joy, and wisdom. I should have known from the title....see I don't read the blurbs, especially not on a Renee Carlino novel. I know that what will be between the pages will take me on an emotion journey and that it will be time well spent. Wish You Were Here was that and more. Adam and Charlotte's story was beautiful, heartfelt, heartbreaking and inspiring all at the same time. A chance encounter after a night of drinking turns into the best night of your life. Only to be faced with what seems like regret in the morning which sends you on a downward spiral. Ugh...I loved Adam's spontaneity and the connection that him and Charlotte seemed to have outside of the physical. I must admit though, that I kept thinking something was off. Again....that title. As Charlotte tries to move on she begins a relationship with Seth. I mean who wouldn't fall for a muscular, attentive baseball player. Me...I was so invested in Adam that I truly couldn't fall for Seth or route for their relationship. As time passes, the memory of Adam and their night still haunts Charlotte and when the reason behind their separation is revealed it broke my heart. Tears......yes there were quite a few. Renee's storytelling puts you right there....front and center. You cannot help but fall and feel for these characters. All I can tell you about this novel without giving away the amazing story is to go and #1click! It will truly be time well spent and something tells me that we all may take a little piece of this story and keep it with us.